Y101 wants you and your family to join in on the fun of Peppa Pig Live! 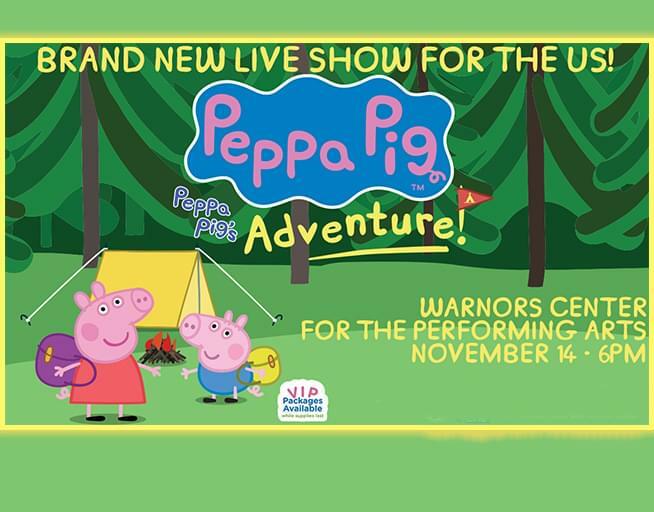 Peppa’s Adventure when it comes to Warners Theatre on November 14th. Listen to Y101’s Kelly during the workday all this week to win a four-pack of tickets to see Peppa Pig Live! Peppa’s Adventure! When you hear your cue to call, pick up the phone and dial the Y101 FM Studios at 1.800.345.Y101 (9101) and you could pick up a family four pack of vouchers courtesy of Y101 FM.